I post here to show you my first 40s-50s western project : a honky tonk shirt ! I don’t know if some of you like this style, but personaly I am completely crazy about it ! I used a recent pattern, not vintage, but inspired by this era. (The magazine is the french BURDA , july 2010). Here is a front view of the shirt. It is not perfect but I am really happy with it and wear it a lot ! I can’t wait to make me others ! 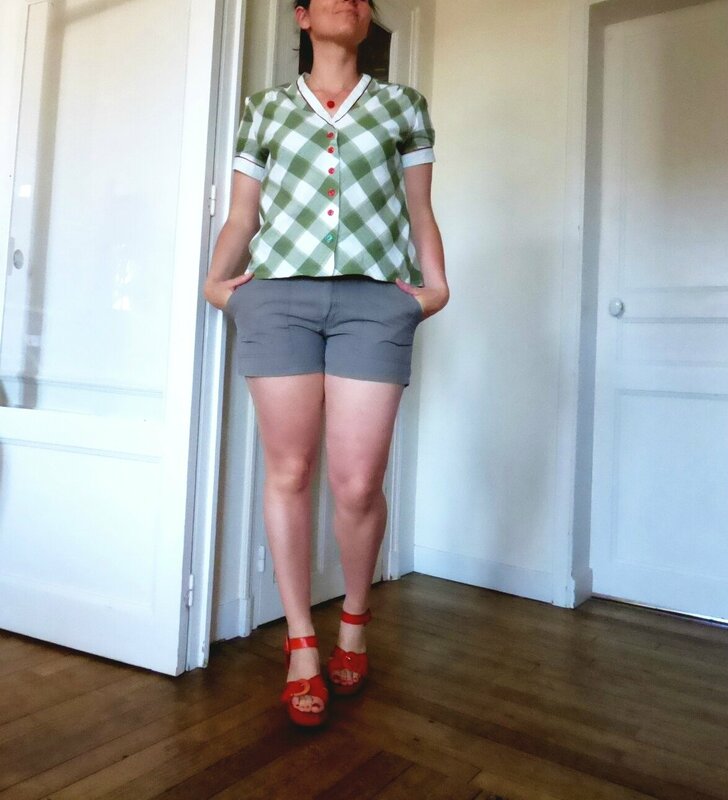 Here is my picnic shirt based on a burda pattern (2014-05). More pics and details on my blog !